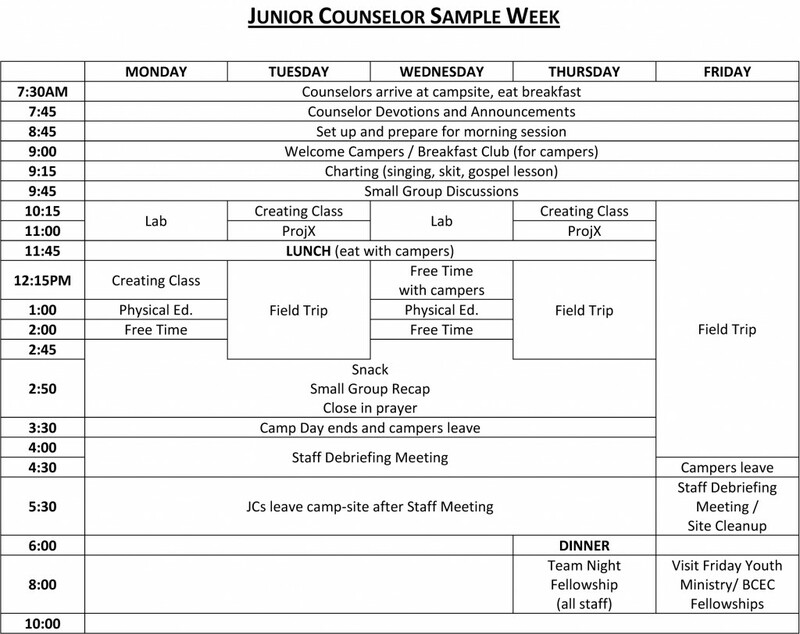 Home » Summer Positions » Junior Counselor » What does a JC do? Junior Counselors are asked to give 45+ hours per week at the camp site, Monday through Friday. JCs will live at home and travel to the camp-site every morning, staying from 7:30AM until 5:30PM each day. Although the camp day ends at 3:30PM, JCs will attend staff debriefing meetings following each camp day. On Thursdays, JCs will eat dinner with the ministry team and stay for Team Night fellowship time until 10:30PM. 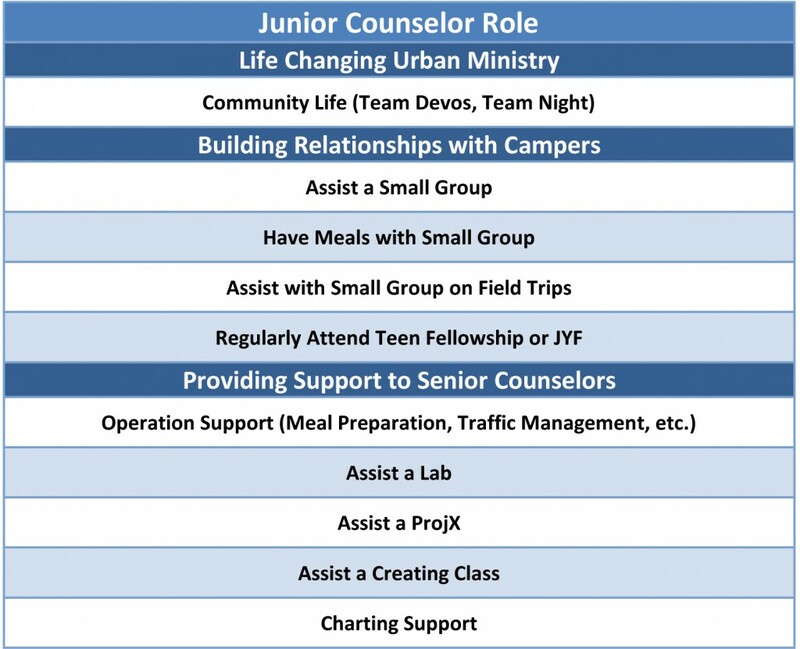 Junior Counselors are also required to attend pre-camp training as well as an overnight staff camping trip during training.